The seller disclosure law in Washington has many buyers and sellers confused, but the more surprising story for me is that so many real estate brokers are confused. I’ll focus on the one issue that seems to confuse Realtors more than any other issue in the Form 17 Seller Disclosure Law. That issue is whether a buyer is obligated under the law to return an acknowledged copy of the Form 17, aka the Seller’s Disclosure Statement, to the seller. Almost every broker I know thinks the buyer must by law acknowledge and return the Form 17 to the listing agent, but that is not true. I’ll explain. The law requires that the seller provide a Form 17, Seller’s Disclosure Statement to a buyer when they sell a property. But there are two parts of the law in America. The first part of any law is the requirement in the law, the mandatory part, and the second part is the consequences if the mandatory part is not completed. In other words, there is the requirement of the law, and then there is the remedy if the requirement is not fulfilled. We have many laws on the books around America that have virtually no remedy if the law is not obeyed, but we also have many laws with extensive remedies spelled out. Remedies are like punishments, and if the law does not define a remedy, there is no punishment or no consequence. The Washington Seller Disclosure Law does not punish the seller if he does not provide the buyer with a Form 17, and the Seller Disclosure Law does not punish the buyer if he does not give the seller an acknowledged (signed and dated) Form 17 back. The law does provide remedies for both parties should the other party not fulfill the requirements of RCW 64.06, and now I’ll tell you what those remedies are. If the seller does not comply with the law and does not give the buyer a Form 17, the remedy spelled out in the Seller Disclosure Law is that the buyer may terminate the transaction at any time right up to closing. So clearly the seller is motivated to provide the buyer with a Form 17 as early as practical. If the seller gives the buyer a Form 17 but the buyer does not acknowledge it and return the acknowledged copy to the seller, the seller has remedies under the Seller Disclosure Law. After 3 days of receipt of the Form 17, the buyer can no longer terminate based on the Form 17 or any of the answers the seller provided in the Form 17. Some listing brokers get all excited and demand an acknowledged copy of the Form 17 from the buyer, but it’s not required by law. There is a remedy for the seller, or you could say the buyer loses certain rights under the law (the right to terminate), but a buyer may not care about the Seller’s Disclosures. The buyer may totally rely on his own home inspection and his own due diligence, and not what the seller “thinks” or “can’t remember” or just “doesn’t know” in the Form 17. Obviously, a Form 17 should be issued by every seller, and every buyer should read it, but honestly, whether the buyer acknowledges it or not is nearly irrelevant, since he is not going to rely on the seller’s representations, and since he will have his own inspections done, which are far more informative and reliable anyway. If there is something the seller needs to disclose that is a nightmare that would scare the buyer away, the buyer can read that in the Form 17, but more than likely and deal with it. Most likely, the buyer’s own inspectors will find serious problems without the Seller’s Form 17. If there was a serious problem the seller disclosed in the Form 17, the buyer could terminate within 3 days under the law, but again, if there is nothing of concern to the buyer, he doesn’t have to acknowledge or do anything with the Form 17. This last point is what so many Realtors do not understand. 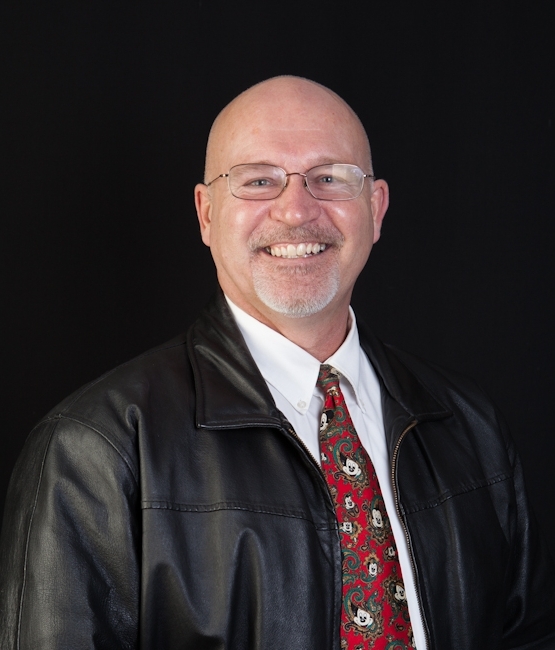 But now you as a buyer of a future Sequim home understand the Washington Seller Disclosure Law on these narrow issues. BTW, if a buyer and seller close a transaction, the requirements and the remedies under the Seller Disclosure Law are all water over the dam, meaning they have all been waived and no longer can be enforced against the other party. So once a buyer closes, the buyer cannot complain about anything in the Form 17, and the buyer also cannot complain about not getting one. Likewise, once a seller closes, the seller cannot complain about not getting an acknowledged copy back from the buyer. At closing, everything merges into the final closing document, i.e. the Statutory Warranty Deed that is recorded. As a brokerage matter, the brokers representing the buyer and seller want to be sure that they have facilitated the requirements of the law, but as long as they have documented that they provided the seller with a Form 17 and asked them to complete it, sign it and return it, and as long as they give the buyer’s agent a copy of that form, the listing agent has done their job and are not liable if the seller either chooses not to provide one, or the buyer has refused to return an acknowledged copy. Likewise, the buyer’s agent must facilitate the requirements of the law by giving the Form 17 to the buyer and getting their response, if they have one within 3 days, and providing an acknowledged copy to the listing agent. But if the buyer does not acknowledge it, the buyer’s agent has no responsibility or liability. As a buyer (or a seller), you should not have to know all this, but your buyer’s agent should if he or she is going to do a good job for you, protect you, and cover your backside all the way to closing. I don’t want to start beating the drums about the importance of selecting the right buyer’s agent, but I think you can see how critical it really is. I hope that all this free information and my willingness to share everything I have ever learned in real estate will encourage you to consider hiring me as your buyer’s agent. 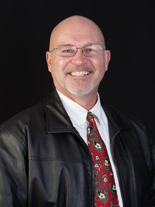 I am Chuck Marunde, and you can text me anytime at 360-775-5424. You can learn a lot more about our Seller Disclosure Law in the many other articles on this blog about the law and it’s remedies. 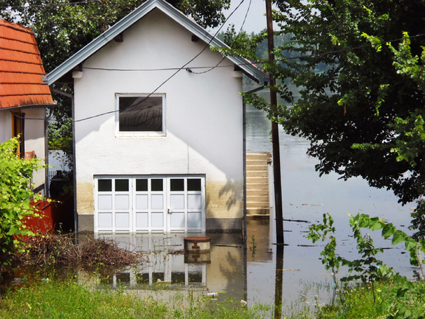 Basement flooding is a nightmare if you are a buyer who discovers after closing that the seller knew about the basement flooding but did not disclose that knowledge. I got a call yesterday from a gentleman who lives across the pond in the Tacoma area, and that’s exactly what happened to him. In Washington, as in every state, a seller must disclose any known defects when selling a home. The seller’s disclosure statement, or Form 17 as it is known in Washington, consists of six pages of questions a seller must answer. A seller must answer truthfully, but the problem for a buyer is always proof. How do you prove that a seller knew something in his head but did not disclose it in writing? In the Tacoma case, the seller was also a contractor who remodeled the basement to make it look perfect. Shortly after closing the young buyer couple who were excited about having bought their first home, suddenly had a basement flooding. Normally that might be hard to prove, but this buyer got lucky. His neighbor just happened to have rented the house the previous year, and she knew from personal knowledge that basement flooding was a periodic event. But it gets better. She had saved emails between her and the seller complaining about the basement flooding. This is one case where all the evidence stacked up against a dishonest seller & contractor. Unfortunately, all of this is a tremendous hardship on the young buyers, because they don’t have the money to repair the basement right away, and they don’t have the money to hire an attorney. I’ve never seen the Seller’s Disclosure Statement actually help a buyer. You cannot legislate honesty. Someone who would cheat a buyer is also someone who would lie on a Form 17 about basement flooding. I always recommend that a buyer also hire their own home inspector, who will examine a house from top to bottom for any sign of problems. While a home inspector might not discover a defect that has been covered up intentionally, like basement flooding, due diligence is always a good idea before you close. 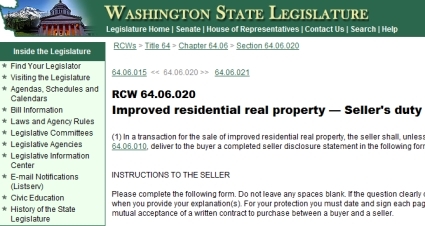 The Seller Disclosure Statement is required in the state of Washington. The seller must provide a buyer of his home or land a Form 17 Seller Disclosure Statement. The disclosure is an attempt to help consumers (buyers) avoid intentional seller misrepresentation. There is also an attempt to address unintentional seller misrepresentation, which is tort law rather than contract law. You’ll see in this video how this seller disclosure statement has not helped consumers very much, if at all, and there is a better answer to help buyers find out about defects in a property. Sellers can answer questions on the seller disclosure statement with a “yes,” “no,” or “don’t know.” Of course, the vast majority of sellers answer all the questions honestly and to the best of their ability. But let’s not be naive. Not everyone in the world is perfectly honest and not all homeowners are going to tell a buyer about some minor (or major) defect that could destroy the potential sale of the property. As an attorney I did litigate seller misrepresentation issues in many trials, and I can tell you that there are in fact a few dishonest people out there. But this seller disclosure statement does not solve seller misrepresentation. The seller can avoid liability in most cases by simply marking “don’t know” on any question that he might deny he knew and that could chase a buyer away. The challenge is that if a seller wants to hide an important piece of information, and he marks “don’t know” on the seller disclosure statement, it is almost impossible to prove that he did know in a court when you are subject to the restrictions of the rules of procedure. You can’t get in someone’s head, and so it is a practical impossibility to prove the seller knew and intentionally withheld that information to the buyer’s detriment. As I suggest in this video, the answer is to do what all wise buyers have always done and continue to do: Buyers should conduct their own due diligence of a property with the proper addendums and contingencies, and that involves hiring professionals to examine and find any defects in the property, inside or outside. Buyers should carefully read the seller disclosure statement the seller gives them but should do their own due diligence. The Washington Seller Disclosure Statement is a huge failure since it’s passage on January 1, 1996. Why is this important? If you are a buyer, you might expect that you are protected by the Washington Seller Disclosure Statement, which requires the seller to disclose all defects of the property. Having practiced as a real estate lawyer for 20 years, I can tell you that this law and this Form 17 Seller Disclosure Statement does not protect you from seller misrepresentation. 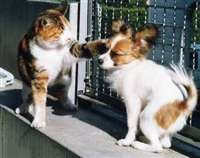 But a new development in the law is fascinating, and you ought to know how you are effected as a buyer or as a seller. 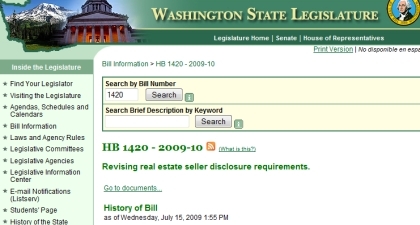 When the wise politicians of the state of Washington passed the Washington Seller Disclosure Statement law in 1996, I remember saying, “This law will have no beneficial effect for buyers at all.” The reason I said that was because you cannot legislate honesty. Our courts are just as full of seller misrepresentation lawsuits today as they were before this law. If a seller is going to lie about a defect in the house that is not clearly visible to a buyer, that same seller will simply mark “Do not know” on the disclosure statement on that question. By answering “Do not know” the seller eliminates the buyer’s ability to prove they did know. The rules of evidence do not help. You can’t prove what someone knew or did not know in their head. This is a no brainer. Unfortunately, the politicians who passed the seller disclosure law and the lawyers around the state of Washington who continue to support new laws and subtle nuances to contract language addressing seller disclosure are . . . “smart by half” as the saying goes. As I have said in other articles, one should be cautious about people who claim they are going to protect us, especially when those people are politicians and lawyers. In an earlier post I wrote extensively about the requirement that Washington real estate forms (the NWMLS forms) include a line 9 in the Purchase and Sale Agreement with an option for a buyer to sue or not sue a seller for the tort of misrepresentation. 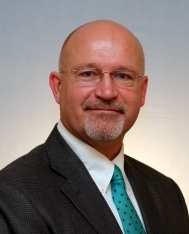 Lawyers around the state decided that the NWMLS needed to include a line 9 in the Purchase and Sale Agreement in which the seller agreed or disagreed to be sued by the buyer for what could be unknowing or unintentional negligence about some aspect of the property. Leave it up to the lawyers to come up with a check box in which a seller can agree or disagree to be sued! This was a huge legal boondoggle that confused real estate agents (not to mention buyers and sellers) around the state and generated more lawsuits for lawyers. Read my full analysis of line 9 and seller misrepresentation at Washington Seller Disclosure Statement. Now we have a new case, which is forcing the NWMLS (Northwest Multiple Listing Service) to delete line 9 in the Purchase and Sale Agreement. Two recent cases decided by the Washington State Supreme Court have given the NWMLS the opportunity (or obligation) to delete line 9. Line 9 required that the parties negotiate whether or not the buyer could sue the seller for negligence in completing Form 17. The new Court decisions now require courts to analyze the facts of each case and decide whether or not the buyer has a claim for negligent misrepresentation against the seller, rather than barring such a claim automatically under the “economic loss rule.” This whole issue of seller misrepresentation and disclosure is a pot of gold for lawyers and legislators. It’s a gift that keeps on giving, but not to consumers, not to buyers. Buyers don’t benefit at all. Amazing. And the whole justification of the law is to protect buyers. For buyers there is a way to avoid this whole nightmare of whether or not a seller is misrepresenting the property. It is not to rely on a form with simple questions and checkmarks that can be evasive. It is not to assume anything or to be forced to rely upon the word of a seller you don’t know. The key is to hire a good real estate buyer’s agent and to hire a good home inspector. Then experience and wisdom will guide you and your professionals on any red flags or potential issues of concern. In other words, if there is a problem with the property, you need to find it yourself with professionals to assist you. That is truly the best and most effective way to buy a home and be protected. The Washington Seller Disclosure Statement does not protect buyers as intended but buyers can still protect themselves with honest, experienced, and professional advice. The Form 17 is a state mandated form, and the seller only has three options: Yes, No, and Don’t Know. If a seller answers “Yes” to any question, they have just guaranteed that the answer is an absolute yes, which is the same in the law as an insurance policy on which you could sue them if the answer turned out not to be 100% true. If they answer “No” and the real answer is anything less than 100% no, again they could be sued. If they answer “Don’t Know” they are answering with the safest answer, but it may also be the most truthful answer. After all who knows that a particular condition of the house is either 100% yes or 100% no? Who would be willing to be sued if they were even slightly incorrect? When a person answers “Don’t Know” they reduce the possibility of being sued almost completely. Part of the reason is that it may be the most truthful answer, but even more importantly it would be very difficult to come up with actual evidence you could use in a courtroom under the strict Federal or State Rules of Evidence that they knew inside their head. Unless there is external evidence, there is virtually no way to prove what someone knew or didn’t know inside their own mind. 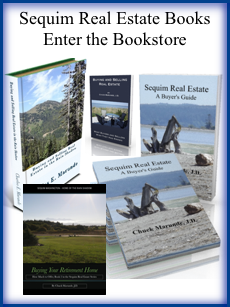 Sequim or Port Angeles home sellers, starting on July 26, 2009 you will need to start using the new Form 17 Seller’s Disclosure Statement, which is mandatory in Washington. 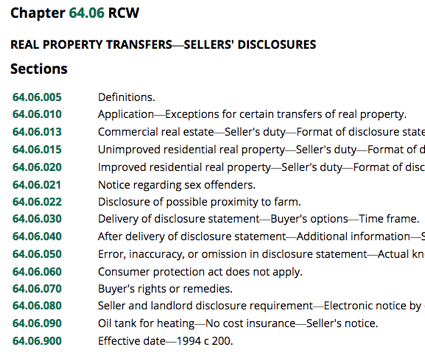 This is RCW 64, and right now you can review the history of the bill at New Seller Disclosure Form. Here’s a quick highlight of the changes in the law and the form. There’s a new question regarding defects in the operation of the water system (e.g. pipes, tank, pump). There’s a revised question: Has the roof leaked?  is now Has the roof leaked within the last five years? There’s a new question regarding wood burning appliances and whether the appliances are certified as clean burning appliances. Some questions in the Environmental section have been changed regarding flooding and standing water on the property. There are revised questions in the Environmental section regarding fill dirt and waste. The Environmental section clarifies that the seller need only answer yes if there is electrical utility equipment on the property that does not provide service to the property. There’s a revised question in the Environmental section regarding radio towers interference with telephone reception. And there’s a new question asking for the contact information for a representative from the homeowner’s association who can provide association documents to the buyer. Please note that the failure of the association to provide requested information does not constitute the seller’s failure to provide Form 17. The hot topic of the day is the new change in the Purchase and Sale form in Washington and the seller’s disclosure requirements. [Read the previous article explaining the law and issues of negligent misrepresentation] A Realtor asked if the Form 17 Seller’s Disclosure Statement offers any real protection against negligent misrepresentation. Good question. My thinking is that it offers some, but very little. When the law was passed back in 1995, I remember saying that it won’t have any effect on whether a seller misrepresents the condition of a property. A person who lies will also lie on the form 17, and a person who tells the truth will not lie on the form 17. But that didn’t change the law governing seller misrepresentation; it only required the seller to complete a formal questionnaire about the property, which supposedly would give the buyer adverse information if there was any. The form 17 also didn’t have any effect on buyer remedies (although that was the intent), whether the suit was against a seller for intentional or unintentional misrepresentation. The same prima facie elements must be proven now in the same way as before the form 17 was required. So what has changed? Read more to find out. The form 17 gave buyers another document to use in court against a seller, even if the seller was totally honest. For example, there’s a question that asks if the septic system is entirely within the property boundaries. Normally an owner would have relied upon a licensed surveyor, if he had a survey done (not required in Washington to buy or sell), and normally an owner would have hired a licensed septic system installer (if he was the one who had the system installed). If the seller answers, “Yes,” and it turns out years after closing that the surveyor screwed up and the septic system is on the adjacent property by six inches, the seller made an unintentional misrepresentation on form 17. In court (or in a deposition or interrogatory), the seller gets nailed by the question, “Did you answer this question ‘Yes,'” and after he responds that he did, the next question, “You know now that the septic system is actually six inches on the neighbor’s property. Right?” Then after the “yes” answer, the killer question, “So your answer on the form 17 was incorrect, right?” The only answer for the seller on the witness stand under oath is, “Yes.” Of course, there is a lot of hemming and hawing by the witness, but ultimately the judge will force him to answer yes or no to all these questions. A sharp lawyer will want to interject in this discussion that the form 17 is only the seller’s reasonable understanding of the condition of the property, not a guarantee. That’s a good discussion for a law professor in a classroom, but not in the real world where finely tuned legal arguments might get you off the hook. Believe me, in a real trial, the above guy gets nailed to the cross. So, how would a reasonable seller who does not want to get sued long after closing the sale answer such a question about the septic (and many other issues)? He would have saved himself much stress, attorney’s fees, and perhaps the entire lawsuit if he had simply answered the question with a “don’t know.” Then he could have added a narrative explanation, if he wanted, that explained he did not personally know if the septic system was “entirely” within the boundaries, that he hired experts to do the work, or that he purchased the property as it is, but that he personally has no absolute knowledge of the correctness or incorrectness of the boundary lines, or words to that effect. Of course, in public attorneys cannot and would not advise clients to do anything but tell the truth on the form 17, but in private behind closed doors, they must have a confidential conversation about what telling the truth could do to them. Telling the truth in this current legal environment in Washington could get a person crucified in court, even if they never lied in their entire life and did not lie on the form 17. Remember, it is unintentional and completely innocent misrepresentations that I’m talking about here, and a seller could find himself getting raked over the coals in our injustice system for several years. So in his confidential discussion with his client, the attorney will hint that the seller is well advised to fudge and answer with a safe “don’t know.” No attorney would admit this, but if you were giving a client honest and confidential advise, would you not have a duty to discuss this with the client, and of course, leave it to the client to decide how to answer his form 17? It’s a bit ironic that the state statute creating the form 17 states that the form 17 is not part of the parties’ contract to purchase the property, yet it is used in trial all the time in misrepresentation cases, and the new purchase and sale agreement incorporates the form 17 into the contract (not with the words “incorporates here” but certainly by reference and creating contract and tort remedies for a buyer against a seller by using the form 17). It’s always been difficult to prove actual knowledge and the intent of a seller in a misrepresentation case. What the seller did or did not know must be proven, and you really need extrinsic evidence, since you can’t get inside a seller’s head and lay that evidence out at trial. The form 17 was an attempt, feeble though it is, to protect consumers, but it has failed and only created more confusion and litigation. If I may offer some sarcastic humor with a rhetorical question, wasn’t it attorneys who created the form 17 statute, and wasn’t it attorneys who decided Alejandre v. Bull, and wasn’t it attorneys who came up with line 9 in the new Purchase and Sale Agreement, and isn’t it attorneys who are going to litigate this issue in the months and years ahead? Hmm. Shakespeare had a humorous solution regarding lawyers, which I’m afraid of quoting here, lest I get sued. Hint: Google this exact clause without the quotes “Shakespeare lawyers” and read to first result, but if you tell anyone you got this hint from me, I’ll deny it under oath. There’s a new Washington Supreme Court case that changes the way buyers and sellers will negotiate. The case is Alejandre v. Bull. This case addresses the hottest issue right now in the State of Washington for Realtors, buyers and sellers. It involves the issue of unintentional misrepresentation by a seller and what remedy a buyer will have. This is especially hot, because the brand new Northwest Multiple Listing Service (NWMLS) Form 21, which is the Purchase and Sale Agreement used in almost all of Washington effective October 15, 2007, includes a check mark to include or not include a remedy for the buyer to sue the seller for unintentional misrepresentation. The actual language is, “Disclosures in Form 17: Buyer will ___; will not ___ have a remedy for Seller’s negligent errors, inaccuracies, or omissions in Form 17.” Form 17 is Washington’s Seller Disclosure Statement. Some have mistaken what this is all about, which is indicated by a response you will hear today by many in and out of the real estate business, “Well, seller’s should not be allowed to lie.” Another response is, “If the seller isn’t lying, what’s the problem?” That’s NOT what this is about. Those kinds of statements miss the whole point. Of course, seller’s should not lie. If the Alejandre case and the new language in the Form 21 was just about catching liars, we would all be rejoicing. This issue casts a very large net, and will capture honest and completely innocent sellers who never lied and had no way of knowing about a hidden defect or problem inside their septic, or inside a wall, or under their foundation, and so on. You get the point. But this new language gives them the right to sue, and maybe win a huge judgment against an honest and completely innocent seller. This ought to be a happy negotiating item between buyers and sellers, thank you very much lawyers and the NWMLS. (I’m a retired real estate attorney, but I would not have included this new remedy in Form 21.) There is a lot of misunderstanding and confusion about what this case means and how to handle the new Purchase and Sale Agreement. Realtors are challenged on how to explain this new option to buyers and to sellers. Now a seller has to agree in writing with a buyer that he can be sued not only for breach of contract, but also “in tort” for unintentional misrepresentation. A seller may not actually have been in side his septic tank, and he may not actually know if there is a latent defect. Now, if the seller agrees to allow the buyer to sue him for any defects, even those he didn’t know about in his septic system (or elsewhere), he can be taken to court and everyone can pay the attorney’s $30,000 to $70,000. What fun! My guess is that sellers will NOT agree to this (why would they? ), so we will simply go back to the contract without this additional remedy for the buyer. The other amazing consequence of all this (as if it wasn’t predictable) is that sellers are going to make sure they don’t commit themselves to a “yes” or “no” on the Form 17 Seller’s Disclosure Statement if there is any possibility they may be sued. The safe answer may simply be an innocent “Don’t Know,” which oddly enough will actually help a seller from being held liable for misrepresentation. How’s that for gutting the State Legislature’s intent in creating the disclosure law? Sellers will do both 1 and 3 above. How’s that for consumer protection! You’ve got to hand it to the lawyers and the NWMLS for destroying consumer protection in such a creative way. On top of that, they have confused the heck out of Realtors, buyers and sellers, and everyone in between. Even the lawyers across the state are in a frenzy writing each other legal memorandums, politely calling each other names.